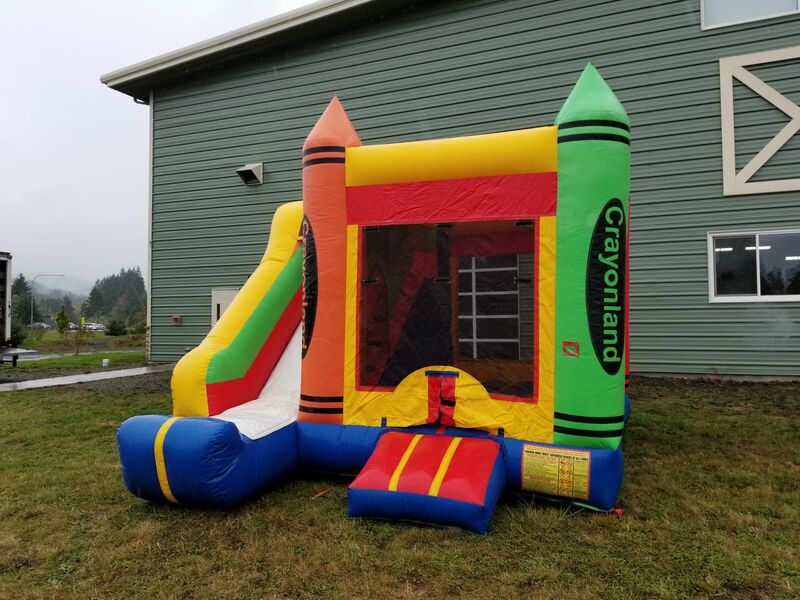 Amaze Your guests as you make this Bounce House appear out of nowhere for your next event. 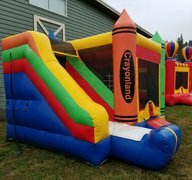 Your guests will love every second they are playing in this bright and colorful bounce house. 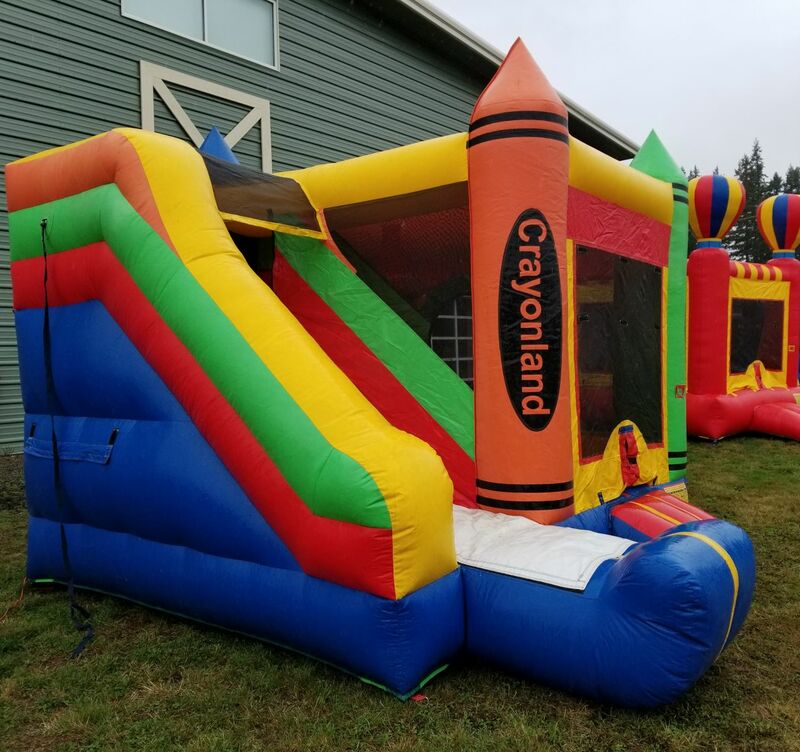 Your child and their guests will have so much fun in our mini Crayon Slide bouncer, what boy or girl would not have fun bouncing the day away with their friends! The Mini Crayon Slide Combo Bouncer is a new addition to our inventory.